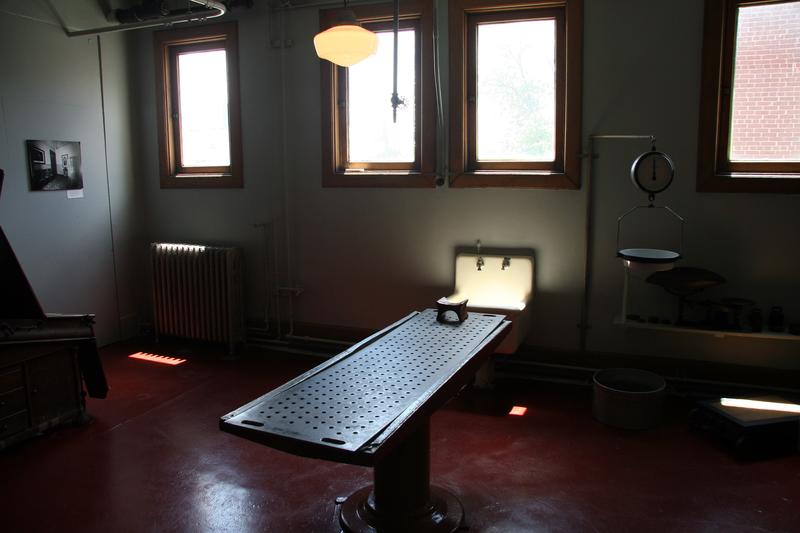 The autopsy room in the Old Pathology Building at the former Central State, now the Indiana Medical History Museum (image Huw Williams). In September 1903 The Indianapolis Journal reported that Oliver S. Clay and his mother Charlotte “for years have lived in their home at 1405 East Sixteenth street, but on account of reverses, financial and otherwise, were compelled to mortgage their property for several hundred dollars, which, on becoming due, remained unpaid.” In many ways, Clay’s story of ill fortune might well be told of many of his early 20th-century neighbors. His father J.H. Clay had been the Pastor of the Bethel AME Church in Indianapolis until his death in 1892. After his father’s death Oliver was an advocate for African-American education and a Black political party, and in the 1902 election he led an African-American movement to vote a blank ballot, telling The Indianapolis Journal that “if the white politicians will give the negroes recognition then he will advocate voting.” However, like many Americans entertaining the American Dream, Clay’s ambition and hard work ended in tragedy as he was evicted, institutionalized, and eventually relegated to a potter’s field. The ultimate fate of his mortal remains punctuate both his unfortunate end and the way contemporary society routinely ignores the unpleasant histories at the heart of American life. In 1901 the Public Library Bulletin reported on Clay’s aspiration to turn his home into what he dubbed the Claysonian Library. Clay’s collection included “the 315 volumes comprising the library of his father, the Rev. J. H. Clay, deceased, to which have been added by donation a sufficient number of books to make the collection 521 volumes, besides miscellaneous magazines and periodicals. The object is to cultivate a taste for literature among the young colored people, especially of the immediate neighborhood.” Oliver Clay’s neighborhood library was dedicated in April 1901 on what would have been his father’s 51st birthday, and several months later he received a gift of 50 volumes from Congressman Jesse Overstreet. The library subsequently hosted regular events at the Clays’ home and local venues, such as a lecture on the Emancipation Proclamation’s 40th Anniversary in January 1903. The remains repository wall at the 9/11 Memorial Museum (image 9/11 Memorial Museum). When visitors tour the newly opened National September 11 Memorial Museum this week they will be greeted by the relics of one of the world’s most traumatic shared events. The Museum opens to the public May 21st, and its collection of material artifacts, images, and oral memories documents the September 11 and February 1993 attacks on the World Trade Center and examines the broad consequences of global terrorism. The museum sits in half of the World Trade Center’s 16-acre shadow, a space that may perpetually play out the tensions between its roles as memorial landscape, history museum, forensics repository, cemetery, and tourist trap. 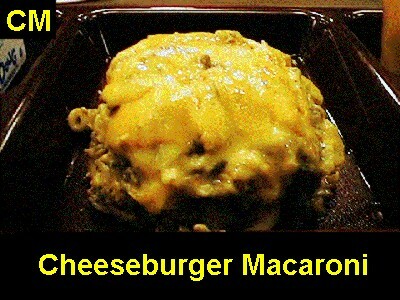 A 2008 image of Cheeseburger Macaroni served at a Virginia school. Few dimensions of the material world have more sensory, tactile, and visual impact than food, a point that seems confirmed by the rich food studies scholarship, food advocacy groups ranging from sustainable agriculturalists to local food champions, and the avalanche of desserts on Pinterest. Nevertheless, somewhat less attention has focused on diners’ experiences of institutional foods: that is, mass-produced foods like the cheese pizza and tater tots clouding elementary school cafetoriums; the nutritionally balanced but unsightly purees scooped onto hospital plates; and the reheated frozen food adorning plastic prison trays and military mess halls. Observers have long dissected a widespread sentiment that such meals are perceived as unappealing and discarded in massive quantities, but much of this attention fixes on food waste and does not always confront why we find some foods so unappetizing in the first place.